Running an event can be tough. Whether it's a party, conference or business event, there are so many factors to running any event. 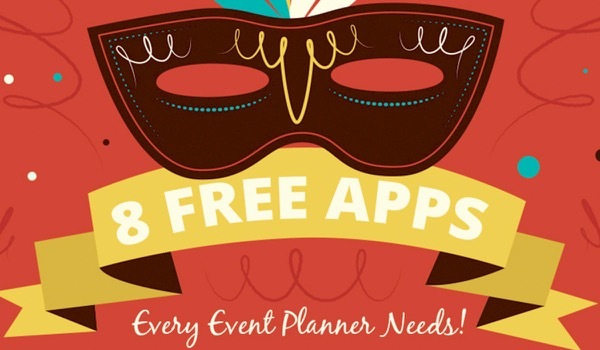 Luckily,there are literally thousands of apps dedicated solely to helping you and your event. Last year alone there were over 220 billion app downloads from the Apple and Android app stores. The only problem is, when time is of the essence, finding the right app can be virtually impossible. Luckily for us, the team over at Black and White Events (Ireland) created the infographic below as a guide to the best free apps on the market that will help with everything from communicating with team members to collecting event images. Let"s check it out! Have you used any of these apps? Or do you like other ones? Let us know in the comment section!